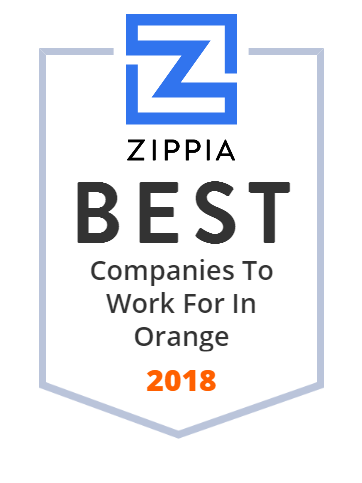 We hand-curated a list of the best companies to work for headquartered in and around Orange, CA using data on salaries, company financial health, and employee diversity. M S International, Inc. distributes natural stone products to corporate, hospitality, residential, retail, commercial, and restaurant businesses in North America. It offers granite tiles and slabs, marble tiles and slabs, travertine tiles and slabs, porcelain tiles, slate tiles and slabs, limestone, semi precious stone surfaces, natural stone landscaping products, onyx/precious gemstones, ceramic tiles, quartzitic-slates, sandstones, venetian marble slabs, counter tops, and sinks. The company also provides granite, marble/travertine, and engineered stone prefabricated countertops; mosaics, stone mosaics, and glass mosaics; marble thresholds, marble window sills, travertine thresholds, and travertine window sills; and natural stone flooring, vanities, shower pans, tub surrounds, windowsills, table tops, and bar tops. It also serves architects, designers, fabricators, tile retailers, builders, and landscape contractors. The company offers products through a sales network that includes distributors, hard flooring dealers, soft flooring dealers, mass merchants, and landscaping dealers. M S International, Inc. was founded in 1975 and is based in Orange, California with presence worldwide. It has international purchasing offices in India, China, Turkey, and Brazil; and distribution centers in California, New Jersey, Atlanta, Dallas, Boston, Chicago, Phoenix, Houston, Baltimore, and Florida. Sweet Factory is America's favorite candy store. Treat yourself today! Canyon High School is a traditional four-year high school located in the Anaheim Hills community in the city of Anaheim, California and is an International Baccalaureate school. It is located on 40 acres (160,000 m) of land on Imperial Highway between the cross streets of Santa Ana Canyon Road and Nohl Ranch Road, and serves students in the Orange Unified School District. The school, which opened its doors in 1973, has a student population of 2,400. The school primarily serves the community of Anaheim Hills as well as parts of East Anaheim and Orange, and was designated a California Distinguished School in 2007 by the California Department of Education. The school's fight song is Washington and Lee Swing. The school is currently ranked as one of the top 1,000 high schools in the United States by Newsweek at number 128, a distinction given to less than 1% of high schools nationally. It is the 204th highest ranked school in the state of California. Western Dental & Orthodontics Offers General Dentistry, Emergency, Cosmetic Dentistry, Specialty Dental Services, Braces & Affordable Dental Insurance. Call Today! We have merged with another company. Please note our new website. Orthopaedic Specialty Institute services include total joint replacement, knee,elbow, Foot and ankle treatment, spine surgery, sports medicine in Orange CA. Ford of Orange in Orange, CA offers new and used Ford cars, trucks, and SUVs to our customers near Anaheim. Visit us for sales, financing, service, and parts! Breastlink: comprehensive breast centers to help women with breast cancer treatment, prevention, screening and diagnosis. Orange. Laguna Hills. Murrieta.